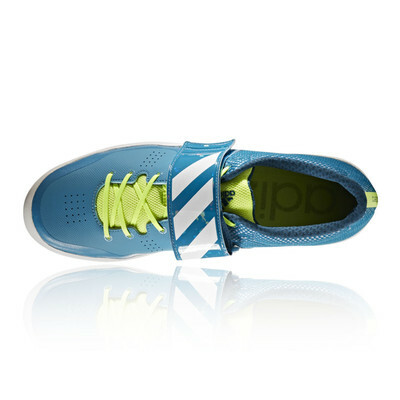 Built to channel the power and speed needed by throwers, this shot-put shoe is a lightweight anchor. "Fit as expected. I always were 8 in most shoes and 8,5 in adidas." 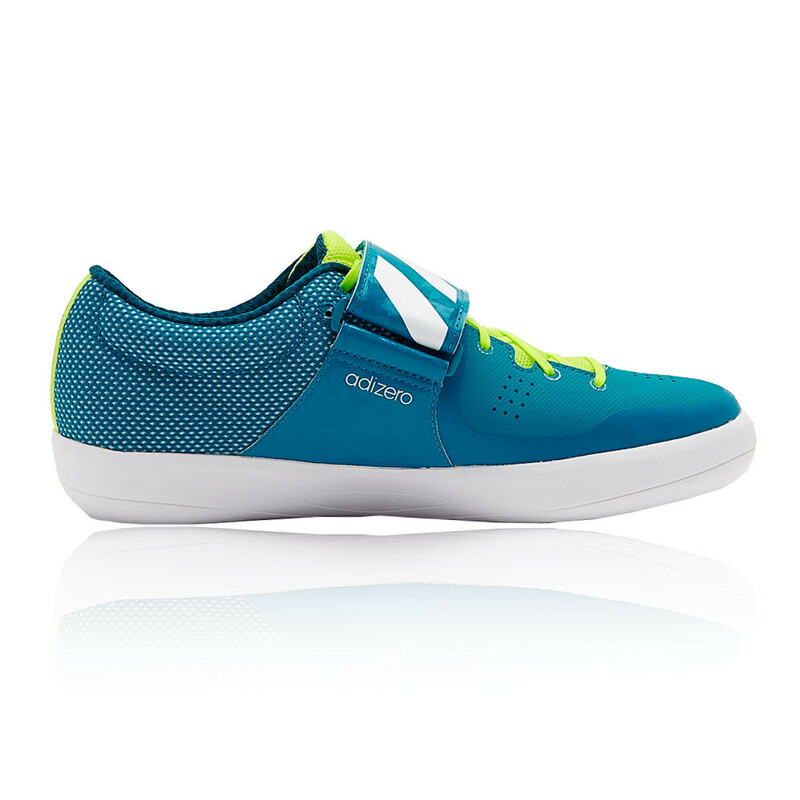 Designed using a synthetic leather forefoot, these shoes are lightweight while providing the support needed to reinforce your throw. An air mesh rear quarter improves the breathability of the shoe to keep your feet well ventilated at all times. A lace up front with a secure velcro strap over the front also makes sure the shoes stay secure on your feet and makes for a better fit. The Traxion technology in the outsole means there is fantastic grip in all directions, to ensure that you can maximise your performance. Supplemented with adidas' Adiwear technology means that you will not have ultimate grip, but long-life durability with these shoes also. Mesh Rear Quarter - Improves breathability and ventilation. Lace Up Front with Support Strap - Ensures a secure fit. 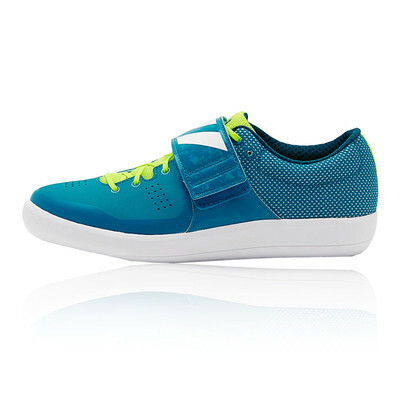 EVA Midsole - Lightweight cushioning and support. 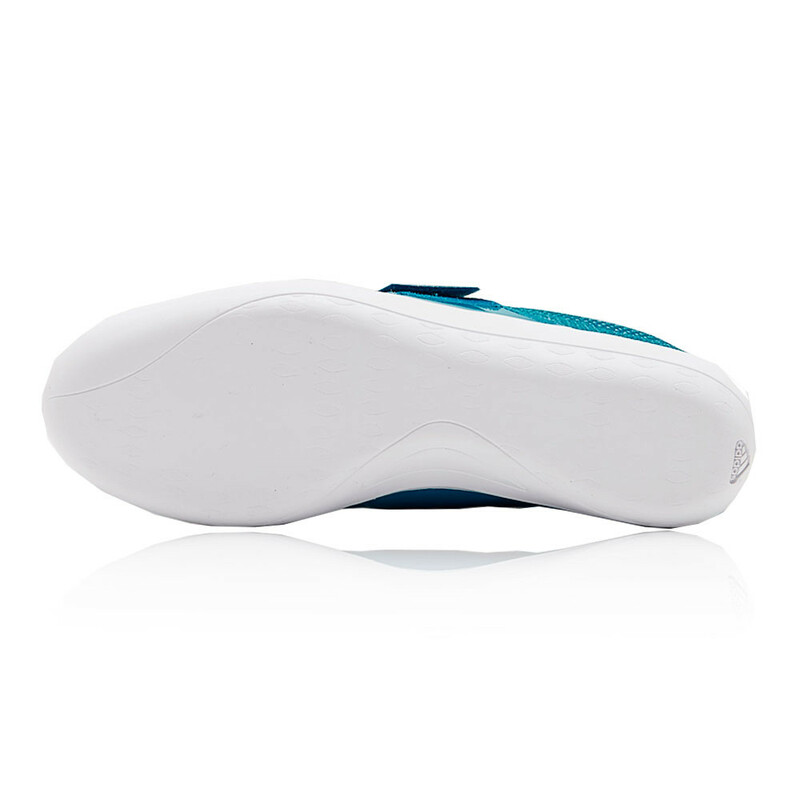 TRAXION Outsole - For maximum grip in all direction.